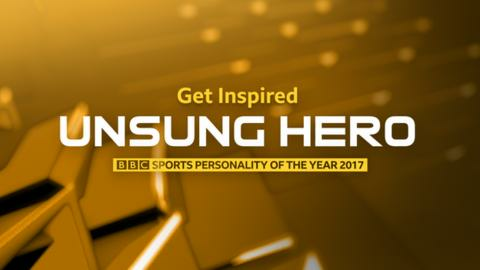 Nominations for the 2017 BBC Get Inspired Unsung Hero award have now closed. What is the Get Inspired Unsung Hero Award? Football, rugby, swimming, golf, cricket, cycling, tennis, boxing... you get the picture. When we think of 'sport', these are the usual suspects, but, the truth is sport in the UK in 2017 is so much more. We want to continue celebrating these long-established sports, but this year we are have looked both further afield, and beyond the field! So here's to the volunteer fitness instructors who offer classes in your community; the person who spends their free time running the social media accounts for your dance club; and that one steward who turns up every week to cheer on the runners in your weekly 5km run. Smiling, encouraging, mentoring and lifting spirits - a person who is dedicated to helping others in your community or club. How do you go from gang member to Sports Personality?